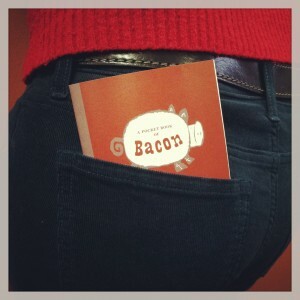 Working with the folks at Zingerman’s Mail Order, we’ve put together a pocket book of bacon. This little keepsake primer comes to you with your first shipment of the Bacon Club! It includes a bit of bacon history, a quick-read glossary, information on smoke & cure, and instructions for cooking it–from the microwave, to the stove, to the oven, to the fire!